Lee Draws Pictures: Meet Pete! Meet Pete! 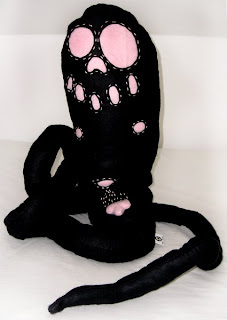 My first plush toy, made of felt and hand sewn, he sits an impressive 50cm high and has a total length of 2m! Some proper photos are planned for when the sun reappears, but i thought I'd give y'all an early look.